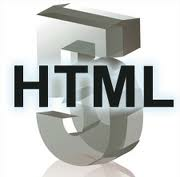 Create HTML5 Video, Convert HTML5 to AVI, WMV, MPG, FLV, MP3, MP4. Currently, HTML5 video is more and more used in websites and we can say that html 5 video is the future of the web. HTML5 make it available to view video on browser without Adobe flash player. HTML5 only supports WebM, MP4, OGG, so how to convert video to WebM and OGG is a hot topic. The latest version of Any Video Converter Ultmate, which is also a HTML5 Video Converter, can easily encode and create the HTML5 video online. With this HTML5 Video Converter, you can perfectly convert videos to HTML5 videos with embedding code and HTML page for modern browsers like IE9, Firefox, Chrome, Safari, Opera and more. This HTML5 Video Converter offers you many amazing features like: split video into many small clips by trimming; optionally merge and sort them to make a creative movie; remove unwanted parts on screen by cropping; tune saturation, contrast, brightness by effects feature; capture favored images while previewing the video in PNG format, etc. Do not hesitate to click the download button to have a try. How to Convert AVI to HTML5(WebM) Video with HTML5 Video Converter? Download, install and run HTML5 Video Converter . Simply click Add Video button to import AVI video files from your hard drive to the program. Batch video conversion mode and merging videos are supported. Click drop-down list of "profile" to choose WebM Movie(*.webm) or MP4, OGV (for Chrome users) as the output format. Under preview window, click Clipping video or Video Crop Effect to personalize your video. You can also customize video and audio settings (e.g. Video Codec, Video Bitrate, Audio Codec, Audio Bitrate, Audio Channel) in the HTML5 Video Converter to enhance the experience of enjoying output videos. Click Convert button to start converting AVI to HTML5 video. After conversion, you may click "Output Folder" button to get the encoded video. 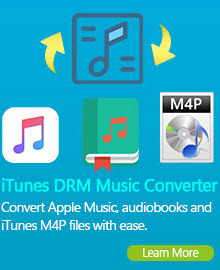 Wanna convert DVD to HTML5 format? You need to get Any Video Converter Ultimate to convert DVD to HTML5(WebM)! What we’ve done is use the <video> tag to specify the dimensions of our video, and to denote that we want to use the browser’s default controls. Then, within the video tag, we’ve added two elements which link to our video files. In the example above, video width is set to 320 pixels and video height is set to 240 pixels. controls="controls" means that the video controller bar will be displayed when mouse hovers on the video, if you don't need it, simply remove it. autoplay="autoplay" means that the video will be automatically played, if you don't want this, remove it. poster="example.jpg" means that when the video is not available, a picture named "example.jpg" will be displayed in the video area and this helps to avoid displaying a blank area. Please replace the example video (example.mp4, example.webm, example.ogv) and example picture (example.jpg) by your videos and pay attention to source path. There are some more parameters like preload, loop, error, networkState, currentSrc, buffered, readyState, etc. in HTML5's html code, please use search engine for more information. Safari and IE9 will use the .mp4 file, Firefox, Chrome and Opera will skip to the .webm or .ogv file and play that instead. If the browser does not support the <video> tag, a download link for the media file will be displayed instead. 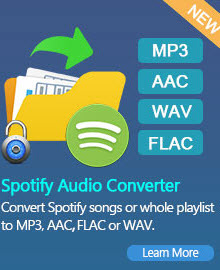 Any Video Converter supports all three kinds of HTML 5 compatible video formats. Open Any Video Converter, in output profile list select HTML5 Embed Video, then convert your video files to H.264(*.mp4), WebM(*.webm) and OGV(*.ogv). Click Output Folder button to get the output videos. Supported Output Devices: iPod, iPad, iPhone, PSP, Zune, PSP, Archos, Nintendo Wii, Google Android, BlackBerry, Windows Mobile, Creative Zen, Xbox and many other portable media player. HTML5 Video Converter software provides an easy way to combine and join multiple videos together. Just select the videos you want to join and check the “merge output” you can finish it easily. You can merge several video clips into a single video, so that you can enjoy a long video. You can trim the length of any videos to get the video or audio clips you want. The HTML5 Video Converter also allows you to crop video to adjust the suitable size of displaying screen. You may also personalize the video by tuning the video brightness, contrast, saturation or adding some effects like "Mirror Image " or "Flip Vertical", etc. If you have a lot of videos to be converted, but you do not want to waste time to convert them one by one. The HTML5 Converter supports batch conversion. It is very easy to use. With just a few clicks, you can finish all what you want efficiently. Downloading and converting YouTube video to HTML5 is also available. Just with a few clicks and several seconds, HTML5 Video Converter helps you to save the online YouTube video in HTML(WebM) or many other video format for your portable media devices. HTML5 Video Converter offers you another characteristic: burn HTML5 videos to CD/DVD with DVD Menu and create ISO/DVD Folder. This HTML5 Video Converter could burn your favorite HTML5 video clips or any other video formats to DVD so that you can play it on home DVD player sharing with your friends and family members. With this HTML5 to DVD burner, you will be prompted to choose DVD menu when the program finishes HTML5 to DVD conversion process. So just with a few clicks you can easily and quickly burn your desired HTML5 videos to a playable DVD. Adobe Flash Player is widely used to embed video content on websites such as YouTube. The Flash Player is available as a plugin for recent versions of most web browsers (such as Mozilla Firefox, SeaMonkey, Opera and Safari), with exceptions such as the browsers on the Apple iPhone and iPad, and on Android 2.1 or less). The plugin is not required for Google Chrome anymore since Google integrated the player into the browser. HTML5 video is intended by its creators to become the new standard way to show video online, but has been hampered by lack of agreement as to which video formats should be supported in the video tag.